Otto Karl Seeck (2 February 1850 – 29 June 1921) was a German classical historian who is perhaps best known for his work on the decline of the ancient world. He was born in Riga. He first began studying chemistry at the University of Dorpat but transferred to the University of Berlin to study classical history under Theodor Mommsen. Seeck earned his doctorate from the University of Berlin in 1872 after writing his thesis on the Notitia Dignitatum, a document enumerating the roles and responsibilities of administrative officials of the later Roman empire c. 400 AD. He habilitated under Mommsen in Berlin in 1877 and, with the help of Mommsen, secured a post at the University of Greifswald in 1881, where he taught Roman History and Archaeology. There he met Karl Julius Beloch. In 1907 he went to the University of Münster where he continued teaching and writing. Seeck wrote many influential works on late antiquity and social Darwinism. He was widely published in such academic journals as the Deutsche Zeitschrift für Geschichtswissenschaft (German Journal of History), Hermes, Zeitschrift für Kirchengeschichte (Journal of Church History), and the Zeitschrift für Sozial- und Wirtschaftsgeschichte (Journal of Social and Economic History). Some of his monographs, including his influential 6-volume Geschichte des Untergangs der antiken Welt (History of the Decline of the Ancient World)—which set forth his beliefs concerning social Darwinism, later influencing Oswald Spengler—are still in print today. ^ Joh. Schoene (1902). "Zur Notitia Dignitatum". Hermes. 37 (2): 271–277. JSTOR 4472837. ^ "Medieval Sourcebook : Notitia Dignitatum (Register of Dignitaries), c. 400". Fordham.edu. Retrieved 2017-03-02. ^ Paul Dräger (1881). "Ein Brief Otto Seecks" (PDF). Universität Greifswald, In Eikasmós, 2001. pp. 353–365. Retrieved 2017-03-02. ^ "Otto Seeck – Wikisource" (in German). De.wikisource.org. Retrieved 2017-03-02. ^ "Suchergebnis auf Amazon.de für: otto seeck". Amazon.de. Retrieved 2017-03-02. ^ "Notitia dignitatum: accedunt Notitia urbis Constantinopolitanae et laterculi ..." Books.google.com. 2007-02-02. Retrieved 2017-03-02. ^ "Die Kalendertafel der pontifices : Otto Seeck : Free Download & Streaming : Internet Archive". Archive.org. Retrieved 2017-03-02. 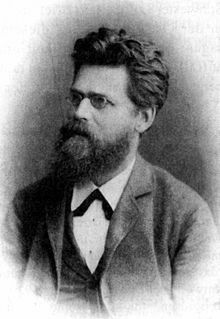 ^ "Die Quellen der Odyssee : Otto Seeck : Free Download & Streaming : Internet Archive". Archive.org. Retrieved 2017-03-02. ^ "Die Briefe des Libanius zeitlich geordnet : Otto Seeck : Free Download & Streaming : Internet Archive". Archive.org. Retrieved 2017-03-02. ^ "Regesten der Kaiser und Päpste für die Jahre 311 bis 476 n. Chr: Vorarbeit". Books.google.com. Retrieved 2017-03-02. ^ "Geschichte des untergangs der antiken welt : Seeck, Otto, 1850-1921 : Free Download & Streaming : Internet Archive". Archive.org. Retrieved 2017-03-02. ^ Otto Seeck. Kaiser Augustus. Books.google.com. Retrieved 2017-03-02.